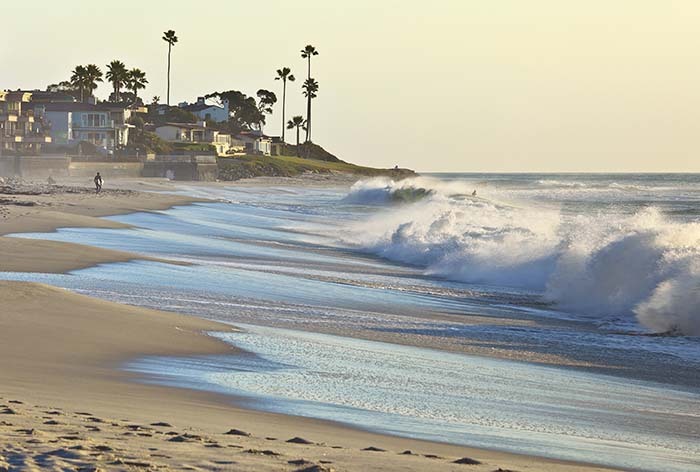 Finding a property in San Diego allows for big city amenities, world class beaches and fantastic weather all year round. With endless investment potential in town and along the Pacific Ocean, San Diego is the perfect place to find your new home. San Diego has many areas in which to find your second home or primary residence. Among the properties available are condos, apartments, villas with sweeping ocean views and larger estates. San Diego real estate is remarkable for its ability to combine oceanside relaxation with all of the urban amenities of Downtown. Neighborhoods such as Pacific Beach, Solana Beach, La Jolla and Del Mar are fantastic examples of communities which exemplify everything San Diego has to offer. The homes in these areas have amenities such as ocean views, pools, open concept living and spacious patios in order to take advantage of the year-round sunshine. San Diego takes full advantage of its location on the Pacific Ocean. From boating to fishing to surfing and swimming, this town loves the water. However, this city is also filled with extensive night life, dining and shopping. Finding a home in San Diego makes living a healthy lifestyle much easier with its constant sunshine, proximity to the water and endless outdoor activities. There is always something to do and see all within a relatively short drive. Whether it is one of La Jolla’s gorgeous beaches, the next best restaurant or watching the sun set over the Bay, you can have it all and more through making San Diego your home. Aside from the activities made available to you in San Diego, another of its best resources are the residents themselves. This area has a rich history and culture with an international influence embedded throughout town. Highly rated primary and secondary educational options also make San Diego a wonderful place to raise a family. 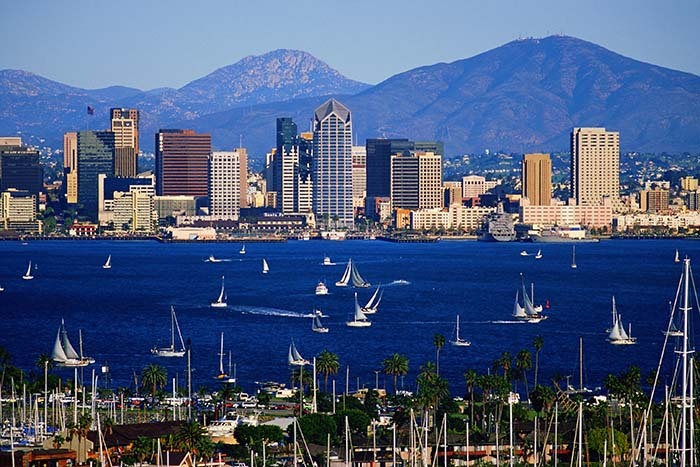 The rich history of San Diego dates back to 1542 when Juan Cabrillo claimed the entire area for Spain. This in part explains why some homes in San Diego have taken after the popular Mediterranean and Spanish styles. Ever since San Diego has represented its heritage proudly while maintaining a progressive culture. The beautiful city of San Diego is bordered by the Pacific Ocean on the west, Mexico on the south, and opens into Mt Laguna on the east, with the prestigious Camp Pendleton guarding the north. All residents in San Diego love the weather, which ranges from 65° in January to 78° in August. These temperatures vary, but many like to think that the coldest winter in San Diego is a comfortable day, where you would find some of the population venturing out in a T-shirt and shorts.